Hello, hope October is off to a good start! 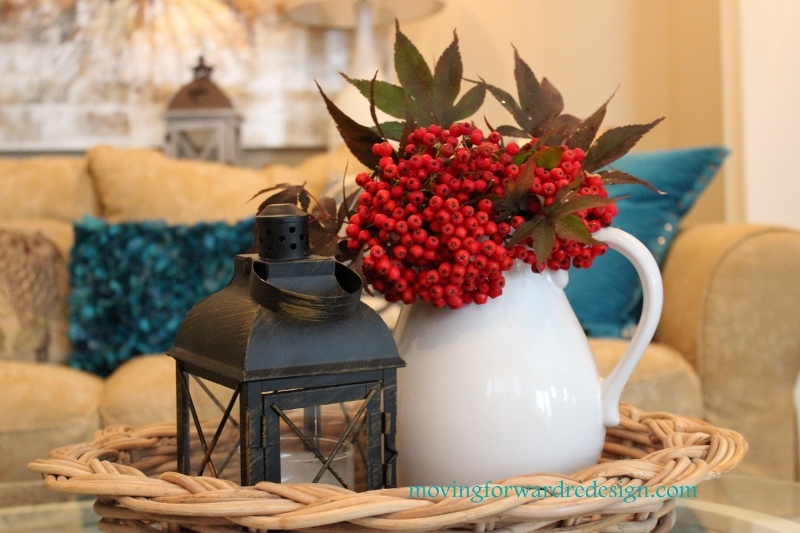 I have been busy with many projects that I am hoping to share with you very soon but first let’s get to my Fall mantel. 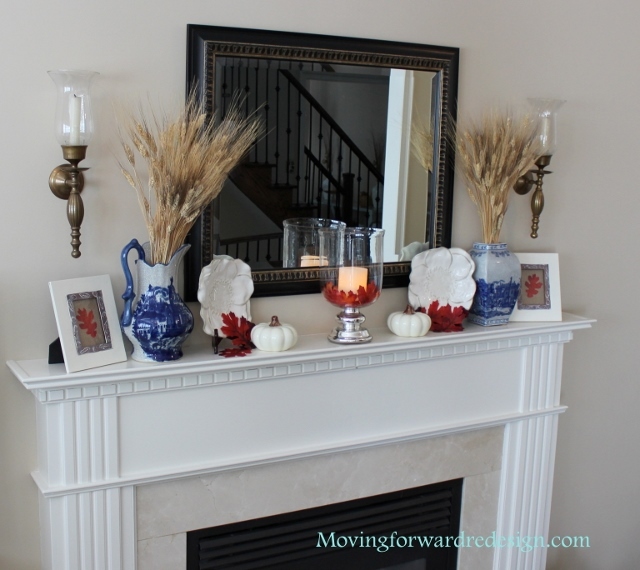 All it took was a few leaves and some wheat to give my mantel a Fall look. 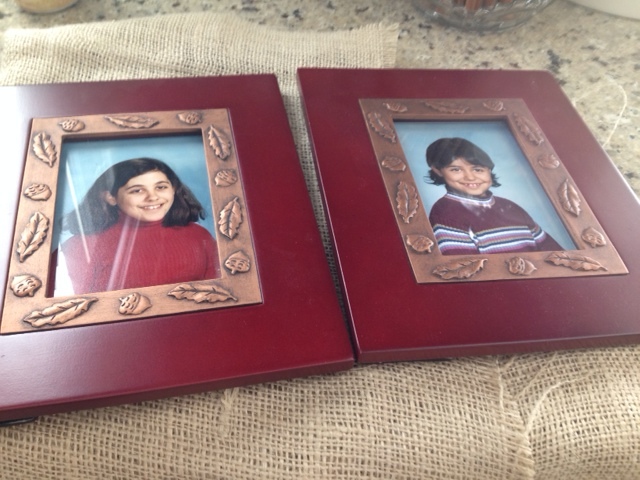 I found some old frames that had been used many years ago for my girls’ school photos…brushed them with a coat of chalk paint, added some burlap and a faux leave. I decided to keep it pretty simple and just added some ceramic pumpkins that I found at the grocery store for $1.50. 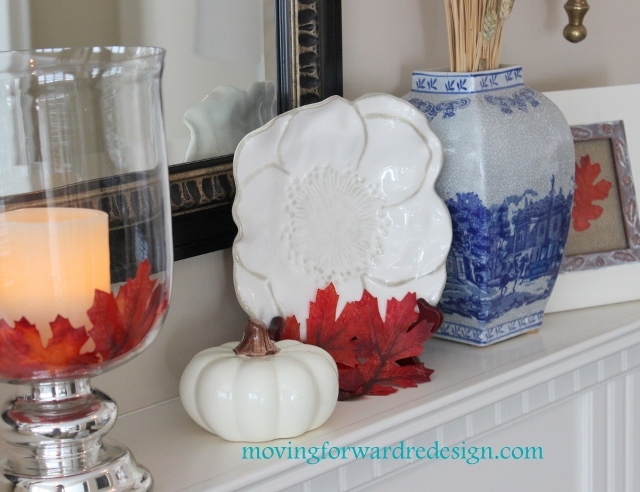 There is still room to add some real pumpkins and turn it into a Halloween Mantel. Thank you very much Mixed Kreations! 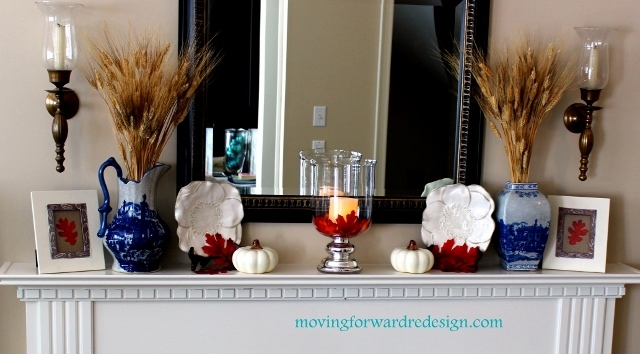 What a pretty fall mantel! 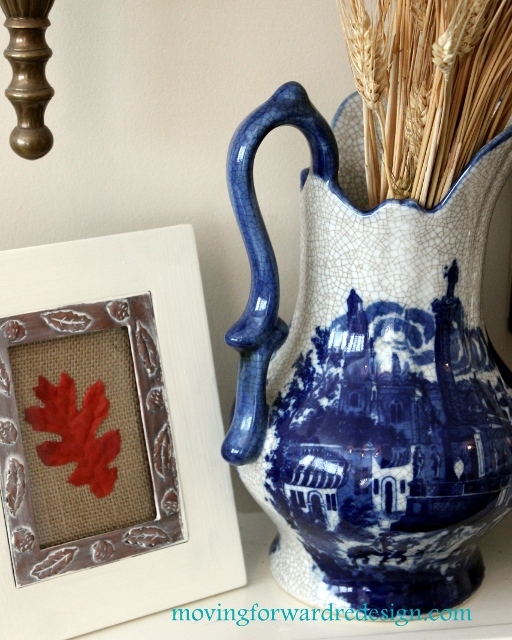 I love how you did the leaf pictures with the burlap backing, and the wheat in the vase & pitcher. Very nice job! Thanks for sharing!